Commercial buildings are one of the leading energy consumers in the world, and MB Real Estate is committed to reducing our carbon footprint, promoting sustainability, and minimizing operational costs for our clients across our asset management portfolio. As a member of the U.S. Green Building Council (USGBC), we incorporate Leadership in Energy and Environmental Design, or LEED, best practices into all of our operations and maintenance efforts. Our LEED-accredited professionals have implemented dozens of successful sustainability initiatives at our managed properties, from tenant bike share programs and recycling drives, to major building renovations that enhance energy performance and efficiency. As a result of our efforts, MB Real Estate manages over 14 million square feet of LEED-certified buildings. In addition to working alongside the USGBC, we also work in conjunction with the Environmental Protection Agency (EPA) and have earned the organization’s Energy Star designation for a number of our managed properties. This rating symbolizes a mark of excellence in energy performance and sustainability. 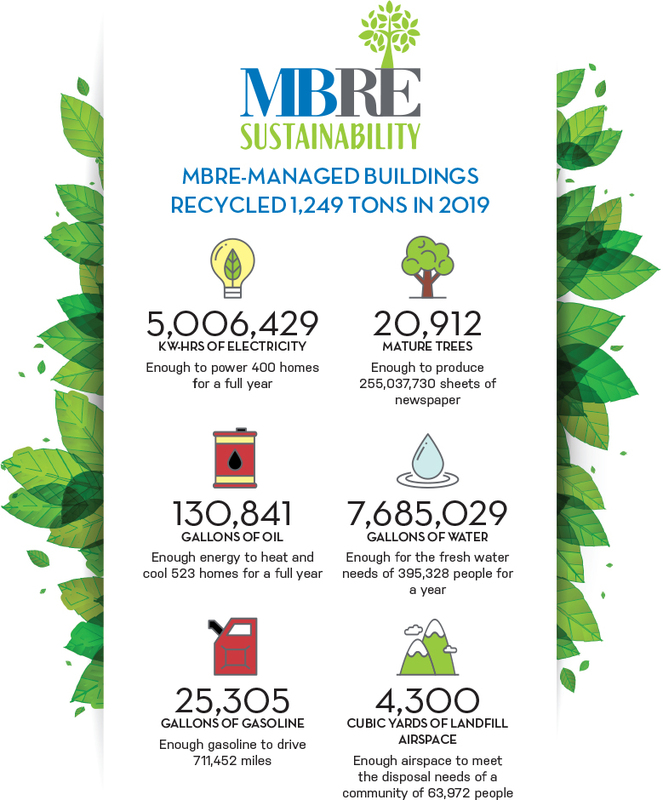 MB Real Estate’s sustainability practices not only contribute to your bottom line, but contribute to a healthy and more productive environment for our tenants and community at large.